ABOVE: Mr Trevor Evans MP, the Federal Member for Brisbane in the Australian House of Representatives, delivers his Anzac Day 2018 Oration in the shadow of the Windsor War Memorial (at the corner of Lutwyche Road and Roblane Streets, Windsor) on the morning of Wednesday, 25 April 2018. Around the Cenotaph may be seen pupils of Windsor State School. 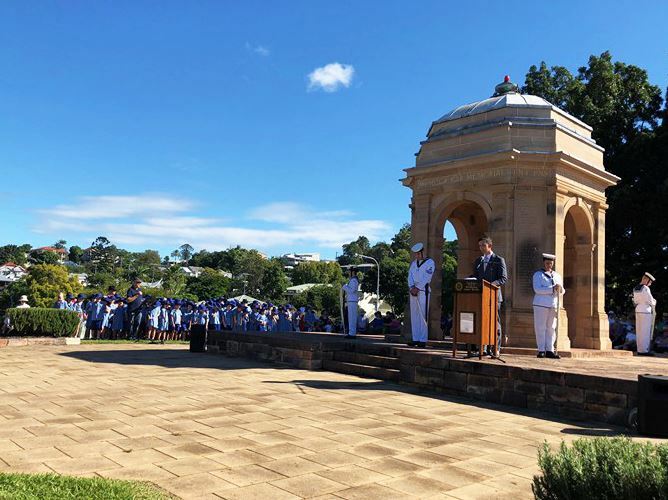 The Catafalque Party is drawn from the ranks of the Australian Naval Cadets unit, Training Ship Paluma. Photo courtesy of Mr Evans. It was first published on Mr Evans’s Facebook feed at 12:01pm on 25 April 2018. May I acknowledge the traditional owners, the Turrbal people, and pay my respects to their elders past and present. Thank you to Uncle Joe Kirk for your welcome to country. Thank you to Rosalie Raciti and the volunteers of the Windsor and Districts Historical Society for again organising today’s event. I’m honoured to join you all again here to commemorate Anzac Day, particularly this year, as we mark the Centenary of Armistice – 100 years since the guns fell silent at the end of WWI. This is an important nationwide event. Yet Anzac Day in practice and in spirit is made up of local commemorations, across countless local communities like ours here, in the same way that generations of our soldiers have been drawn from the communities spread across all corners of our continent. 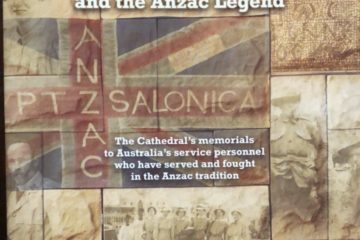 The original Anzacs were clerks, tradesmen, labourers, professionals, shearers and farmers, the Indigenous; young people representing every cohort of Australian society. More than 50,000 Australians fought in Gallipoli in 1915. They included young Queenslanders from across our State, from local places like Windsor, Wilston, Kelvin Grove, Wooloowin, Clayfield and New Farm. Their sacrifices have won our freedoms, given us lasting benefits, and helped forge our national identity. This morning there were a number of dawn services including one at Cameron Rocks nearby Breakfast Creek. That is where, back in 1915, many Anzacs last stood on Australian soil. It is where too many of them last saw the sun rise over the Australian coast. That memorial, and this one, were built in the years after WWI and were funded almost exclusively by private donations and community subscriptions. It is a fine example of community-led action. This is a spirit that lives on in today’s event here. These memorials honour those who served their country, many dying a world away from their childhood homes and families. Places like this memorial and events like this allow us to come together as a community to remember, to reflect, to grieve, to acknowledge the sacrifice of others, and to consider our hard-fought freedoms. Our area of Brisbane has more significant wartime history than even some locals may realise. We may never know for certain, but the historian Charles Bean concluded that the first ANZAC ashore at Gallipoli was a Queenslander, Lieutenant Duncan Chapman, of the 9th Battalion. He was born in Maryborough and was a resident working here in Brisbane when WWI began. He survived Gallipoli, but later fell, in action, in France, on 6 August the following year. Of the 50,000 Australian soldiers at Gallipoli, the Australian War Memorial records that a total of 8,141 Australian souls were lost before the evacuation. It was a grim and formative moment in Australia’s psyche and in our history. A few months after, back here in Brisbane, in June 1916, a public meeting was held at the Exhibition Showgrounds. It resolved that Brisbane would have “a plan of observance” to honour the 25th April landing of Australians at Gallipoli. This was a topic covered brilliantly in last year’s speech here by Cr David McLachlan. 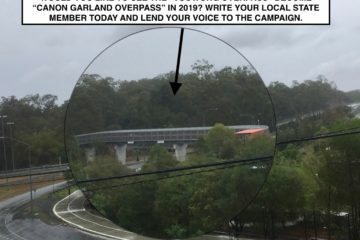 At that meeting, the Brisbane Reverend Garland [ David John Garland ] was appointed as the honorary secretary of the Queensland Committee for Anzac Day Commemoration. Much of Garland’s work, and the work of that Committee, created the framework for Anzac Day services we still use as the core of our commemorations today, right across Australia. That included a steely determination that the 25th of April will be marked and honoured, not as a failed military campaign, but as a commemoration of bravery and sacrifice. So on this day we gather to pay tribute to the men and women who’ve served our country in uniform – whether in war, conflicts or peacekeeping operations. We recognise and acknowledge their service and their sacrifice, and that of their families. We take pride in those who have served and those who serve now. We feel the grief of those lost; and for the veterans who came home changed forever, whether in mind or body. The outbreak of war in Europe in 1914 also saw enormous contributions on the home front, particularly by women, including women here in Brisbane. The home front was an essential backdrop to success on the battlefield. A number of women’s organisations became very active during the war years, including the Australian Women’s National League, the Australian Red Cross, the Country Women’s Association and the Australian Women’s Service Corps. Our reflections today should include the Brisbane women and Brisbane locals who banded together in various ways to tirelessly volunteer and raise funds to buy comfort supplies for the troops overseas, and to support returned soldiers. A quarter of a century later, Brisbane played an important but often unheralded role in WWII. Queensland served as an important base for American forces during operations of the War in the Pacific. At the peak of the war, nearly 80,000 Americans were located in Brisbane. The first contingent of the US forces to arrive in Australia arrived at Hamilton Wharf on 22 December 1941, disembarking a total of 4,600 personnel. The first camp (Camp Ascot) was established at the Eagle Farm Racecourse. Brisbane was also an important submarine base in the Pacific War. The dawn service I attended this morning was at the Submariners’ Walk Heritage Trail at Teneriffe, commemorating the contribution of the thousands of American troops stationed on 79 submarines based there at New Farm Wharf. Brisbane-based submarines were a vital part of Australia’s defence, at the frontline of battle for almost three years, and were responsible of sinking one-tenth of all Japanese shipping destroyed by Allied submarines during the Pacific war. Brisbane also saw large troop ships, often former passenger liners, leave from Brisbane for the Middle East or Europe. By May 1942, Japanese forces were sweeping south through New Guinea and coming within striking distance of Australia. The Battle of the Coral Sea in that month held the Japanese advance, and HMAS Australia, HMAS Hobart and three American destroyers returned to Brisbane port direct from that key battle. By the end of 1944, the Americans had moved many of their facilities to The Philippines, yet they were quickly replaced in Brisbane by the British Pacific Fleet which arrived in early 1945, establishing a base for fleet repairs and replenishing supplies. In June 1945, between operations off Japan, the British fleet returned to Australia and there were no less than 32 British and Australian warships in our local port. It is a sight the Brisbane River is unlikely to ever see again. Sadly, the world has continued to see further conflicts since WWII. Australians have played a role in distant locations across the globe: Korea, Vietnam, Iraq, Afghanistan, the Solomon Islands and East Timor. This July marks the 65th anniversary of the Korean War Armistice, and in October it will be the 75th anniversary of the completion of Australian work on the infamous Thai-Burma Railway, which saw 2,646 Australians die during construction. In all, a total of 1.5 million servicemen and women have worn the Australian uniform and defended our county in all manner of conflicts, wars and peace-keeping operations. And some 102,000 of them sacrificed their lives for our country. But it has been through the horror and adversity of battle that our national character has been forged, and we came to see the best of what it means to be an Australian. The 60,000 Australians who perished in WWI, including the 8,141 souls who were lost in the Gallipoli campaign, live on in our memories, never forgotten. Anzac Day now honours not only the original Anzacs at Gallipoli, but veterans of all wars and conflicts. The Anzac spirit, born of courage and sacrifice, lives on in every man and woman who has ever since had to fight under the Australian flag. That spirit burns brighter, year after year, in the freedoms we enjoy today. – The (above) transcript of Mr Evans’s Anzac Day Oration was reproduced on this site with his kind permission. Requests to republish this text should be made directly with his office. ABOVE: At the conclusion of the 2017 Anzac Day commemoration service at the same place, the Federal Member for Brisbane, Mr Trevor Evans MP, delivered the concluding remarks. 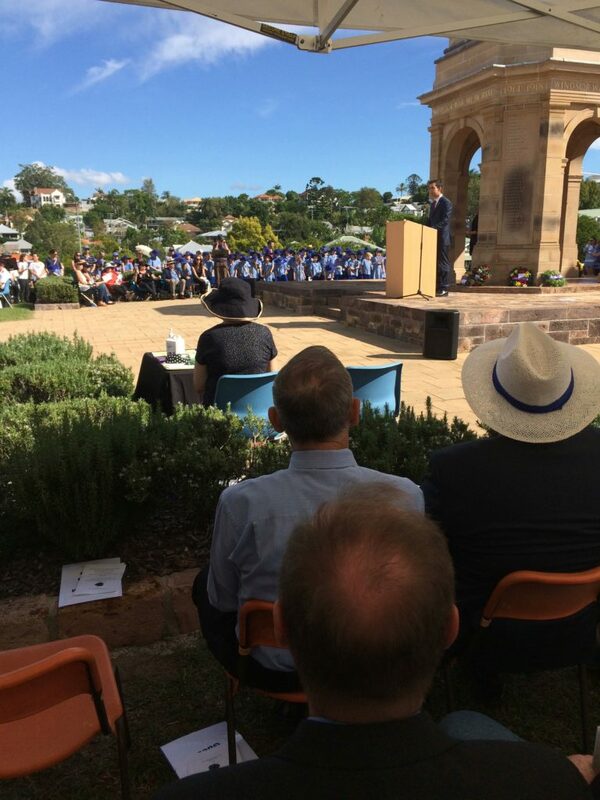 After the reading of three public resolutions, Mr Evans joined with Federal, State and Local Government representatives, invited guests, local RSL organisations, churches, schools, community groups and members of the general public in laying wreaths upon the Memorial. 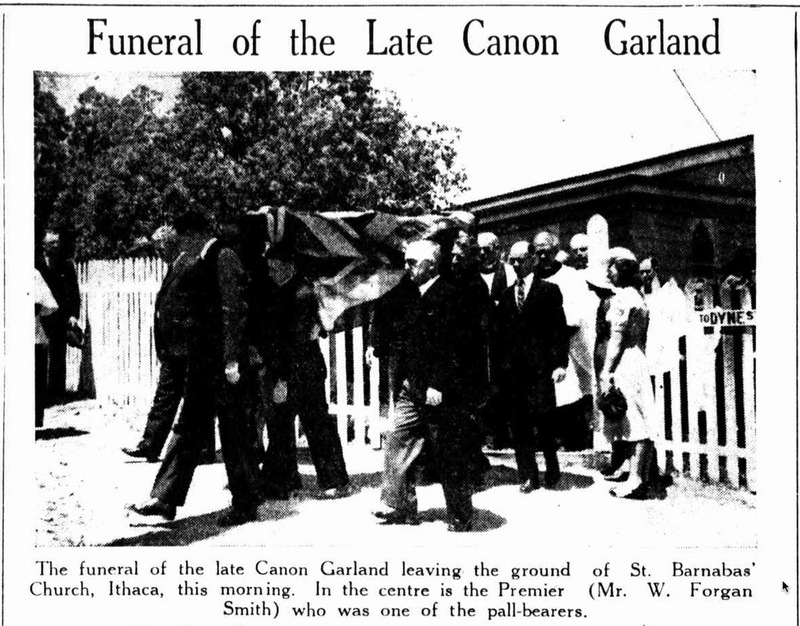 Photo courtesy of Peter Collins of the Canon Garland Memorial Society Incorporated.